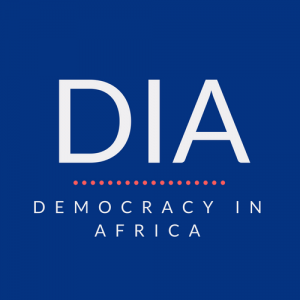 DiA’s Nic Cheeseman celebrates the publication of his new book in the UK by writing a column with co-author Brian Klaas that summarises some of its key lessons and explains how dictators manipulate elections to strengthen their grip on power. If a government wants to be considered a respectable democracy on the world stage, it must pass a litmus test: holding multi-party elections. But while more elections are being held around the world than ever before, the average quality of democracy around the world has fallen for the last ten years. The reason is that authoritarian leaders have learned how to rig elections. When we started researching this phenomenon, we expected to find the elections these leaders held were vulnerable to manipulation. 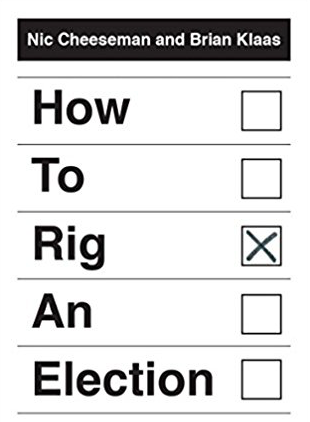 Looking into flawed elections in countries such as Belarus, Kenya, Thailand, Uganda, Tunisia, and Zimbabwe, we’ve come across all kinds of rigging strategies, from excluding opposition candidates from the ballot to getting the dead to vote. But what we show in our new book, How to Rig an Election, is much more startling. Elections aren’t just failing to remove unpopular autocrats from power; they can actually make it easier for dictators to maintain political control. In other words, authoritarian regimes that hold elections are more stable than those that don’t. When confronted with the possibility of multi-party elections, authoritarian leaders typically fight against it tooth and nail. Many only relent when they are forced to do so by the weight of domestic opposition or an international ultimatum. But once elections get underway, it’s easier for these leaders to rig them and see them through than it is not to hold them at all. Elections can make autocrats’ lives easier in several ways. When personal dictatorships and one-party states get into political difficulties, they risk uniting different opposition groups into broad pro-reform coalitions; after all, people find it easier to unite against a common enemy. But once a dictator allows multi-party elections, it becomes relatively easy to divide and rule, manipulating personal, ethnic or religious tensions to split and weaken the opposition. Equally, autocrats who refuse to hold elections often find it difficult to access the funding they need to sustain their regimes, especially if Western governments punish human rights abuses by turning off the aid tap. But once elections are held, the tap is usually turned back on – even if the elections aren’t exactly high-quality. Authoritarian rulers can also use elections to “crack the whip” within their own parties, putting ambitious potential rivals in their place. Campaigns are also useful devices for mobilising party activists and leaders, helping to renew stale elites and staving off political decay. Without a cause to rally around every few years, autocrats’ vital political bases are susceptible to atrophy. And fortunately for these sorts of leaders, elections are disappointingly easy to rig. In the course of our research, we found that between 2012 and 2016, more than two-thirds of elections in Africa and almost half of all elections in Asia and post-Soviet Europe featured significant vote-buying. Worse still, more than a third of elections in all of these regions saw state violence targeting opposition parties and their supporters. Despite this, elections are rarely condemned by international monitors – in part because rigging is becoming harder and harder to detect. Whenever monitors come up with new strategies to detect tried and true rigging tactics, dictators and despots innovate. Authoritarian leaders do sometimes lose elections. In Gambia in 2016, when President Yahya Jammeh lost to opposition leader Adama Barrow after 22 years in power, it kickstarted a process of international pressure and negotiation that ended with his peaceful deposition and exile. But this remains the exception, not the rule. As a result, governments that hold elections in an authoritarian context are actually more likely to survive from one year to another than authoritarian regimes that refuse to. This is something that we should care about whether we think that promoting democracy is a good thing or not, because poor quality polls do far more harm than just keeping bad leaders in power. In many of the world’s new democracies, elections are such high-stakes events that rigging them can lead to political violence and harm national identity. The exclusion of candidates of a certain ethnicity or religion may alienate entire communities from the political system, paving the way for civil conflict, as in Cote d’Ivoire. And clear evidence of ballot box stuffing may trigger opposition clashes with the security forces, as in Kenya, whose flawed 2007 election led to more than 1,000 deaths. At the same time, desperation to win power may encourage candidates to use violence as a means to keep rivals away from the polls, as in Kazakhstan, where the opposition alleged that one of its leaders, Zamanbek Nurkadilov, was assassinated by the government to prevent him from contesting elections in 2005. Crucially, it’s not just national elections that can put a strain on peace and stability. In Brazil, 22 people were murdered in the run up to the local government elections of 2002, leading 410 towns to request additional security from the police. With such harrowing stakes, what can be done to defend democracy? There are many important organisations around the world trying to promote democracy and ensure better quality elections, but all too often they lack the international backing that they need to have an effect. This is because international support for high quality democracy and free and fair elections is on the wane. For one thing, authoritarian states like China and Russia are becoming bigger players in international politics, and they certainly don’t exert pressure on governments that fail to hold high quality elections. And for another, the election of Donald Trump in the US has called into question the willingness of the world’s most powerful nation to defend democracy either at home or abroad. Trump’s open embrace of authoritarian strongmen from Turkey to Egypt to the Philippines sends a reassuring signal to would-be despots in the rest of the world who might once have feared American sanction. As a result, instead of defending democracy, recent international developments have made it easier to rig elections. This trend threatens to erode the credibility of the election as an institution; worse still, it might undermine global public support for democracy itself. But while there are many ways to rig an election, there are also many ways to save democracy. Right now, the despots are winning the battle – but if the world rallies behind it, democracy may yet win the war. Est ce qu’il est sure de faire confiance aux citoyens pendant une election.